Background: I came across this set of six posters produced by the NSDAP Gauleitung Steiermark, part of Austria then incorporated into Hitlerâ€™s Reich. 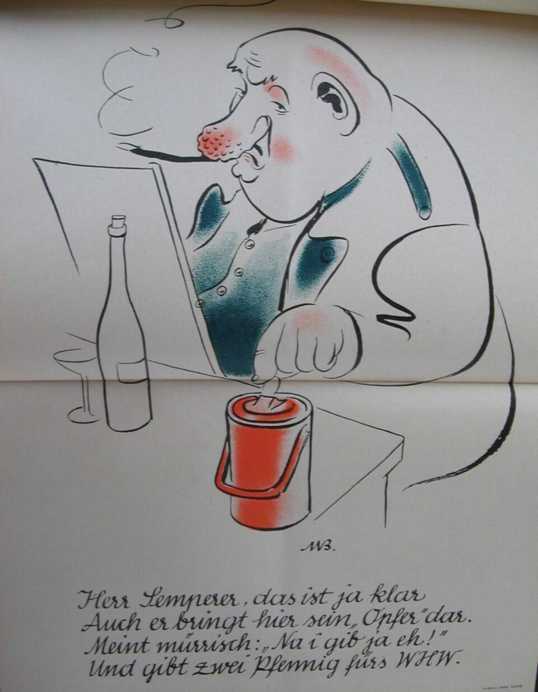 The posters went out with a late 1941 issue of a newsletter for propagandists, giving them detailed guidance on how to prepare for the campaign, which was aimed at complainers and those who failed to realize the greatness of life in Nazi Germany. Each poster would hang for two weeks, so the whole campaign ran three months. Newspapers promoted it, and those attending movie theaters saw slides of the posters before the film began. The three area breweries even produced beer coasters with the caricatures on them. 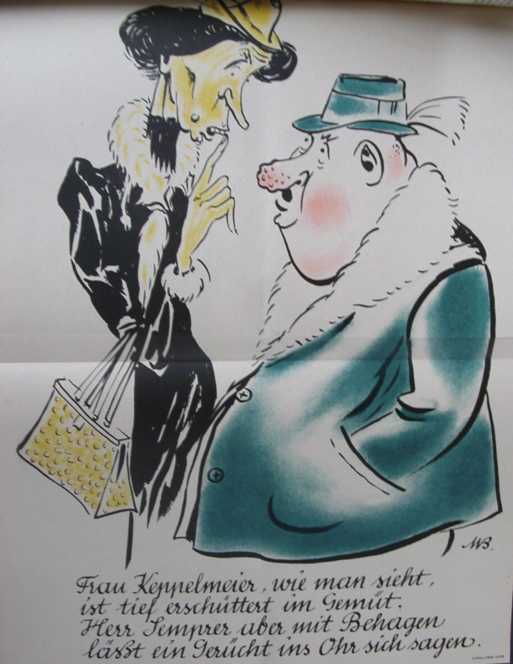 The goal was to make everyone aware of the two unpleasant central figures in the campaign, and encourage them to behave differently: “Wherever such a character surfaces, the goal is that party members or other citizens present will refer to Herr Semperer or Frau Keppelmeier and bring ridicule down on them.” There was another poster that ran at the very end of the campaign, but I have not found that one. 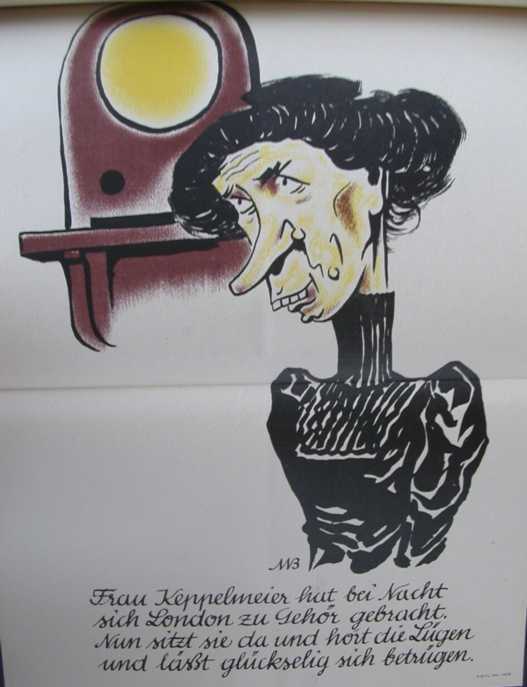 The source: “Herr Semperer und Frau Keppelmeier! Propagandaaktion gegen Gerüchtemacher und Meckerer im Gau Steiermark,” Der Propagandist. 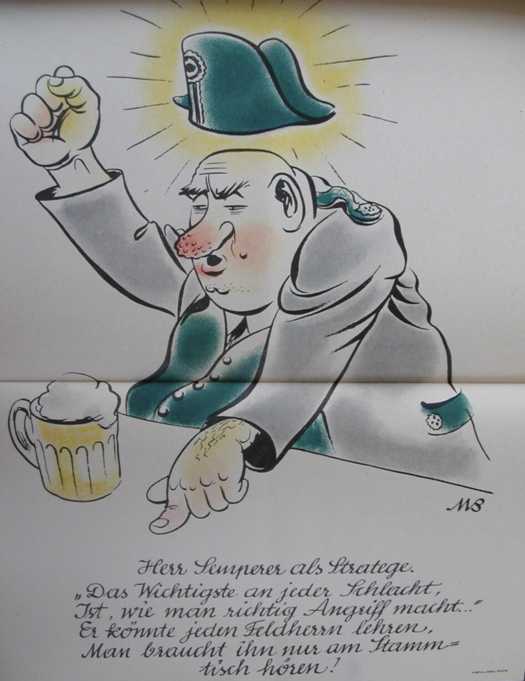 Mitteilungen des Gaupropagandaamtes Steiermark, November-December 1941, pp. 6-8. Is deeply troubled as can be. Eagerly hears the rumor she tells. Makes his “sacrifice” so dear. Two cents is all that he can spare. And listens in on London. Herr Semperer is a strategist. Is to make the right attack, he says. Any general could learn from him. One need only listen to him at the pub. 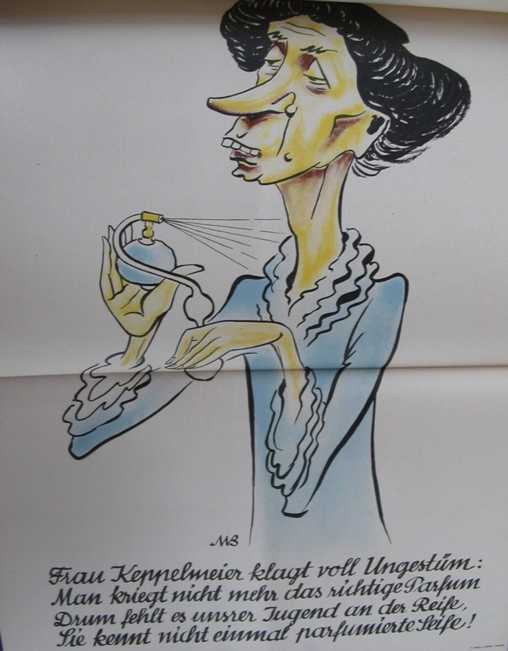 Frau Keppelmeier is most distressed. She can’t get the right perfume these days. They’ve never heard of perfumed soap! 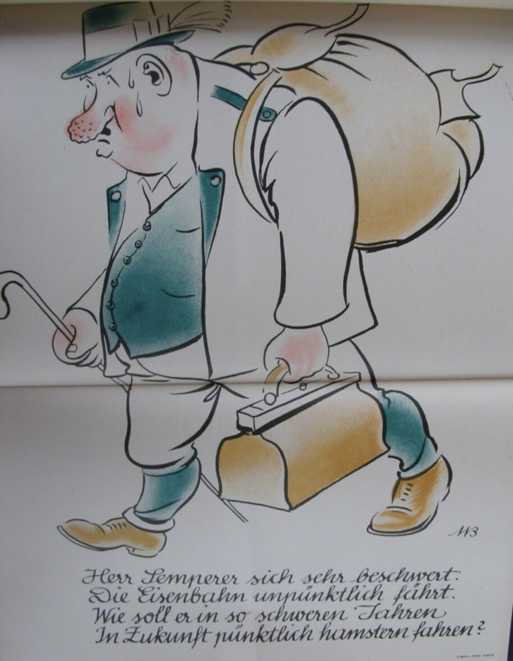 Herr Semperer, meanwhile, complains so loudly. The trains, you see, are sometimes late. Himself punctually fill his sack? Go back to the poster page.